The fascinating story of the Regency period in Britain - an immensely colourful and chaotic decade that marked the emergence of the modern world. The Regency began on 5 February 1811 when the Prince of Wales replaced his violently insane father George III as the sovereign de facto. It ended on 29 January 1820, when George III died and the Prince Regent became King as George IV. At the centre of the era is of course the Regent himself, who was vilified by the masses for his selfishness and corpulence. Around him surged a society defined by brilliant characters, momentous events, and stark contrasts; a society forced to confront a whole range of pressing new issues that signalled a decisive break from the past and that for the first time brought our modern world clearly into view. 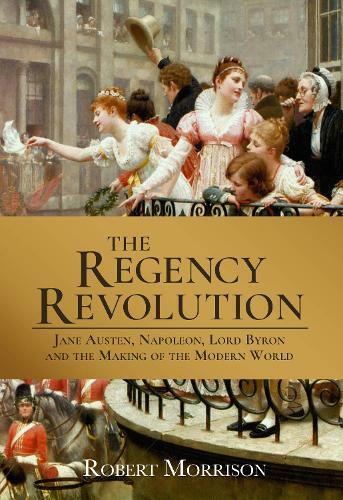 The Regency Revolution is the most thorough and vivid exploration of the period ever published, and it reveals the remarkably diverse ways in which the cultural, social, technological and political revolutions of this decade continue both to inspire and haunt our world.